Short Description The system’s screen is locked, the user is prompted to take part in an online survey. Symptoms System executable files are locked. Access to Task Manager and Registry is prevented. Distribution Method Not clear yet. User Experience Join our forum to follow the discussion about ScreenLocker. We have seen ransomware going through new development stages. As a result, latest ransomware pieces become more and more sophisticated and exceed even the boldest of expectations. In that sense, the appearance of the ScreenLocker ransom threat shouldn’t be of any surprise. Some security researchers even believe that ScreenLocker has been created with the sole purpose to test new possibilities of ransom software. Another explanation for the peculiar features of ScreenLocker is that it is still in a development stage. 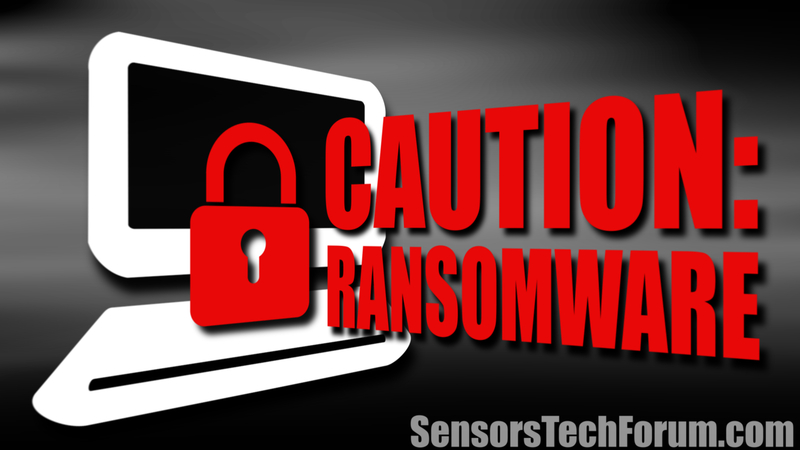 Typically, ransomware threats such as CryptoLocker and CryptoWall, encrypt personal files on the targeted system, and seek payment so that the decryption key is obtained. However, ScreenLocker infections are quite different. Nonetheless, ScreenLocker locks the system’s screen and prevent the user from initiating any actions. Even though the threat is ransomware by nature, it doesn’t display any ransom message with payment instructions. Instead, the user will be asked to participate in an online survey. If the user is tricked and decides to follow the link provided in the ransom message, he may just give away valuable information. The whole infection may be nothing more than some ‘ransomware research’. 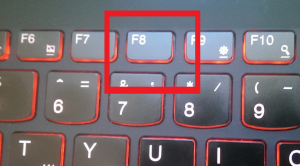 We have detected that the software running on your computer is not genuine, please complete an offer below to unlock the computer permanently and insert the key below that will be provided after complete supply. As visible by the message, ScreenLocker alleges the user of having counterfeit software running on his system. Even if that claim is right, users shouldn’t follow any instructions given by the cyber criminals. As we already said, the hacking team can only be attempting to obtain valuable information for their ‘ransomware research’. What users are advised to do is run powerful anti-malware software to remove the threat immediately. Also, we have compiled several prevention tips that should become your online security handbook. Not following them may have brought ScreenLocker in the first place. Always apply administrative control over your programs. Improve your passwords and store them in a safe place, preferably outside the computer. 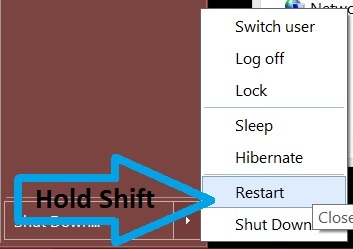 Turn off AutoPlay to prevent malicious files from accessing your PC. Disable File Sharing or make it password-protected when needed. Switch off any remote services. Disable FlashPlayer or use it with precaution. Regularly update your system and software. Turn off wireless services, like Bluetooth. Turn them on only when needed. Employ automatic system protection via trusted AV software. As soon as we have more information about the ScreenLocker threat, we will update this article. Meanwhile, we recommend following the instructions given below to rid the system of any ransom malware. 1. 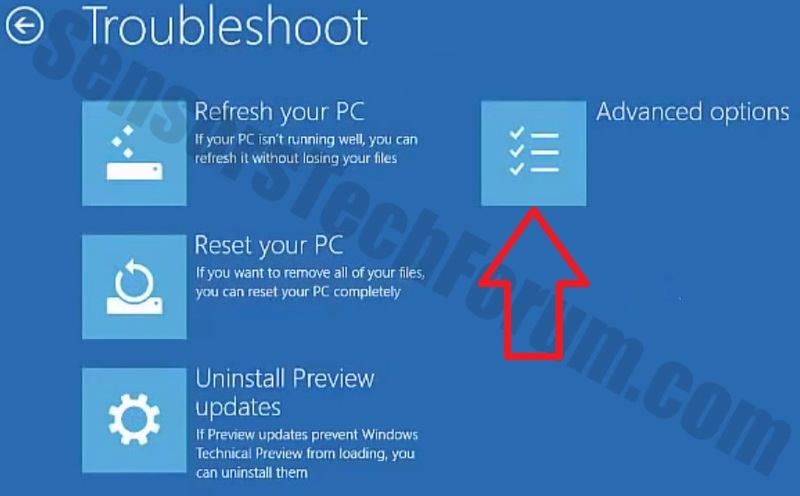 Start Your PC in Safe Mode to Remove ScreenLocker. 2. Remove ScreenLocker automatically by downloading an advanced anti-malware program. To clean your computer you should download an updated anti-malware program on a safe PC and then install it on the affected computer in offline mode. 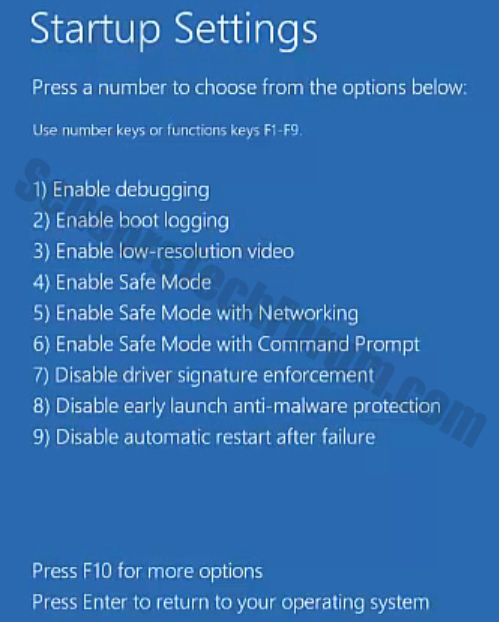 After that you should boot into safe mode and scan your computer to remove all ScreenLocker associated objects. 6-Click on ‘Save settings and run backup’ on the next window in order to protect your files from possible attacks by ScreenLocker. 5-Select the drive then click on ‘Ok’ in order to set up file backup and protect yourself from ScreenLocker. 6- Click on Ok and you should see an indication in Protection settings that the protection from ScreenLocker is on. 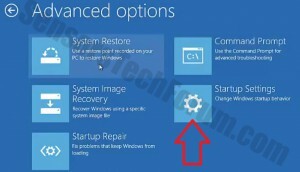 3-Click on Apply and Ok and the file encrypted by ScreenLocker should be restored. Threats such as ScreenLocker may be persistent. They tend to re-appear if not fully deleted. A malware removal tool like Combo Cleaner will help you to remove malicious programs, saving you the time and the struggle of tracking down numerous malicious files. Threats such as ScreenLocker may be persistent on your system. They tend to re-appear if not fully deleted. A malware removal tool like SpyHunter will help you to remove malicious programs, saving you the time and the struggle of tracking down numerous malicious files. Note! Your computer system may be affected by ScreenLocker and other threats. SpyHunter is a powerful malware removal tool designed to help users with in-depth system security analysis, detection and removal of threats such as ScreenLocker. 1. Install SpyHunter to scan for ScreenLocker and remove them. 2. Scan with SpyHunter, Detect and Remove ScreenLocker. Ransomware infections and ScreenLocker aim to encrypt your files using an encryption algorithm which may be very difficult to decrypt. This is why we have suggested several alternative methods that may help you go around direct decryption and try to restore your files. Bear in mind that these methods may not be 100% effective but may also help you a little or a lot in different situations. Note! Your computer system may be affected by ScreenLocker or other threats. Remove ScreenLocker by cleaning your Browser and Registry. Fix registry entries created by ScreenLocker on your PC. Combo Cleaner is a powerful malware removal tool designed to help users with in-depth system security analysis, detection and removal of threats such as ScreenLocker. Step 5: In the Applications menu, look for any suspicious app or an app with a name, similar or identical to ScreenLocker. If you find it, right-click on the app and select “Move to Trash”. Step 6: Select Accounts, after which click on the Login Items preference. Your Mac will then show you a list of items that start automatically when you log in. Look for any suspicious apps identical or similar to ScreenLocker. Check the app you want to stop from running automatically and then select on the Minus (“–“) icon to hide it. Remove ScreenLocker – related extensions from your Mac’s browsers. A pop-up window will appear asking for confirmation to uninstall the extension. 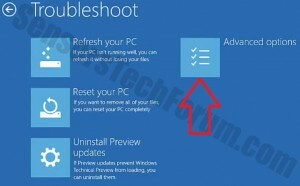 Select ‘Uninstall’ again, and the ScreenLocker will be removed. When you are facing problems on your Mac as a result of unwanted scripts and programs such as ScreenLocker, the recommended way of eliminating the threat is by using an anti-malware program. Combo Cleaner offers advanced security features along with other modules that will improve your Mac’s security and protect it in the future. 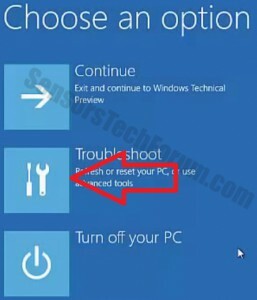 Hey !, I found this information for you: "Remove ScreenLocker Ransomware and Restore the System". Here is the website link: https://sensorstechforum.com/remove-screenlocker-ransomware-and-restore-the-system/. Thank you.